Dockless, electric scooters available to rent for short rides made their debut in San Francisco last month. For users, they’re a convenient alternative to ride-hailing firms and heavy traffic. But critics say the scooters present a new problem to -- literally -- navigate around. 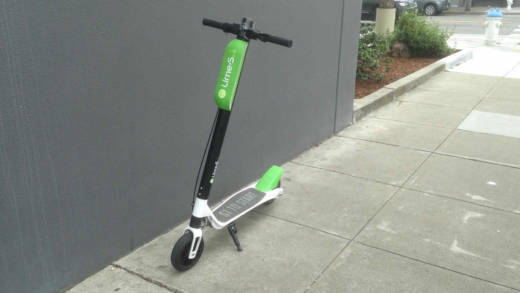 The dockless system lets riders leave the scooters anywhere, including sidewalks. Supervisor Aaron Peskin told the San Francisco Chronicle his office receives daily complaints about the scooters. The MTA is working with Peskin’s office on a permitting process for them. Forum discusses the rise of scooter use in the Bay Area, and the problems that come with it.